Demodex is a genus of tiny parasitic mites that live in or near hair follicles of mammals. Many species of Demodex are known and they are among the smallest of arthropods. Two species living on humans have been identified: Demodex folliculorum and Demodex brevis, both frequently referred to as eyelash mites. Demodex canis lives on the domestic dog. Infestation with Demodex is common and usually does not cause any symptoms, although occasionally some skin diseases can be caused by the mites. The adult mites are only 0.3–0.4 millimetre long, with D. brevis slightly shorter than D. folliculorum. Each has a semitransparent, elongated body that consists of two fused segments. Eight short, segmented legs are attached to the first body segment. The body is covered with scales for anchoring itself in the hair follicle, and the mite has pin-like mouth-parts for eating skin cells and oils which accumulate in the hair follicles. The mites can leave the hair follicles and slowly walk around on the skin, at a speed of 8–16 mm per hour, especially at night, as they try to avoid light. Older people are much more likely to carry the mites; about a third of children and young adults, half of adults, and two-thirds of elderly people are estimated to carry the mites. The lower rate of children may be because children produce much less sebum. It is quite easy to look for one's own Demodex mites, by carefully removing an eyelash or eyebrow hair and placing it under a microscope. The mites are transferred between hosts through contact of hair, eyebrows and of the sebaceous glands on the nose. Different species of animals host different species of Demodex; only one zoonosis of Demodex is known. In the vast majority of cases, the mites go unobserved, without any adverse symptoms, but in certain cases (usually related to a suppressed immune system, caused by stress or illness) mite populations can dramatically increase, resulting in a condition known as demodicosis or Demodex mite bite, characterised by itching, inflammation and other skin disorders. Blepharitis (inflammation of the eyelids) can also be caused by Demodex mites. Evidence of a correlation between Demodex infection and acne vulgaris exists suggesting it may play a role in promoting acne. Yes they are all over you! Together with the mites we live in harmony! It is unthinkable to imagine an environment where there are no mites! Our face may be their home. They don't usually bother us but they frequently are there. But sometime ignorance is bliss! nor here on Planet Earth. Sirius is an important documentary from Emmy award winning Director Amardeep Kaleka. The upcoming documentary film about UFOs claims it will offer evidence of aliens, including cutting-edge scientific analysis of a recovered body! The Earth has been visited by advanced Inter-Stellar Civilizations that can travel through other dimensions faster than the speed of light. What we have learned from them about energy propulsion can bring us to a new era, but those in power have suppressed this information in order to keep us at their mercy. It is time for you to know... and this documentary will let you in. Dr. Steven Greer, founder of the worldwide Disclosure Movement and the Center for the Study of Extraterrestrial Intelligence is working with Emmy award winning filmmaker Amardeep Kaleka and his team at Neverending Light Productions to produce one of the most significant films of our time. What will this film expose? The Earth has been visited by people from other worlds who are not malicious, but in fact concerned for the future of humanity. A cabal of military, industrial and financial interests have kept this contact and what we have learned from it secret for over 60 years. Their secrecy is meant to suppress the knowledge that can liberate the world from the yoke of oil, gas, coal and nuclear power and replace the current world order with one of New Energy and true Freedom. The first section of the film will share the vast scope of evidence that ET's exist, from official government documents, high-level witness testimony and audio and visual evidence. Disclosure and CSETI have the largest library of never before seen footage gathered over 20 years of study. Next, we interview a group of brilliant scientists who aim to expose long-held secret technologies. They show us how energy can be derived from the fabric of space around us, and how industrial cartels have suppressed this information. What did Nicola Tesla know, and why did the FBI seize his papers upon his death? Man-made anti-gravity vehicles have been in use for over half a century, some even used to perpetuate the ET abduction hoax in order to control the masses. Now is the time for these technologies to be acknowledged and developed for peaceful energy purposes. In the final section, we explore CONTACT: the CE-5 principles and how to build a bridge to a trans-dimensional universe. We will also share how the average person can make contact with people from other worlds. The film, which premieres April 22, is titled Sirius and showcases the claims of Steven Greer, a prominent UFO researcher who has dedicated years of his life to proving that the U.S. government is actively covering up hard evidence of extraterrestrial life. Is it one of the many hoaxes? The film will go in premiers on Monday 22 April 2013, 7:30pm (PST) in Regal Cinemas L.A. LIVE Stadium 14 in the Premiere House Theater. Let`s not jump to conclusions yet. But wait and let the film speaks for itself. But this could be the truth so many people are looking for. His name is probably known everywhere and his story defined the way vampires are seen in our modern culture. You probably heard the name in your childhood, and was bombarded with countless stories, movies and even cereals about him. Lets talk about - you guessed it! - Count Dracula. Dracula was the title character and antagonist of the 1897 novel with the same name by Bram Stoker. The story follows diary entries, newspaper clippings, ship log's entries and etc. of the novel's protagonists explaining everything that happens when they get involved with the strange Count Dracula. The aforementioned main characters are: Jonathan Harker, a business man sent to Transylvania to make business with Count Dracula; Wilhelmina "Mina" Harker, Jonathan's fianceé; and the also now world-wide famous Abraham Van Helsing, a Dutch professor and vampire hunter. On a more basic level, the novel "tells the story of Dracula's attempt to relocate from Transylvania to England, and the battle between Dracula and a small group of men and women led by Professor Abraham Van Helsing". It also deals with a lot of political, sociological and sexual themes. Bram Stoker spent years of his life researching European folklore and mythological stories about vampires, and most likely drew his inspiration for the famous vampire from one of the Hungarian stories he heard. Most these stories, a bit disturbing to say, were real. 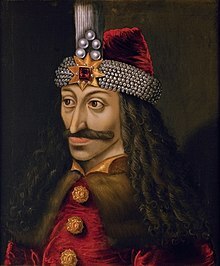 One of the author's inspiration was a certain prince called Vlad III, Prince of Wallachia (1431-1476), also known by the sweet nickname of Vlad the Impaler. It is said that his cruelty knew no bounds, being a tyrannic sadistic man. Legend has it that the number of his victims range from 40,000 to 100,000; the German legends say that it was at least 80,000 people, but either way, it's a big number. In addition to these alleged victims, it is mentioned that he had whole villages and fortresses destroyed at his hand and burned to the ground. He is also said to, as his nickname already says, impaling his victims, cutting their heads off and drinking from their blood - that last part was what must've caught the eye of Stoker, and thus another legend was born. It is also interesting to mention the roots of the name Dracula - Vlad the Impaler was from "The House of Draculesti", but was known by its patronymic name "Dracula". Dracula literally means "Son of the Dragon", whereas "Drac" derives from the Latin "Draco" that means Dragon. But in Modern Romanian, the word "drac" is now synonym with "devil", thus making Vlad Dracula a name worthy of a badass supervillain. (The word for dragon was changed for "balaur" or simply "dragon" by the way). Other inspirations come from other vampire stories that were circulating around that time, such as the novella Carmilla, by Joseph Sheridan Le Fanu and a penny dreadful (crime stories that sometimes used a twist of the supernatural that were really popular in the Victorian Era) called Varney the Vampire, by James Malcolm Rymer and Count Dracula’s archetypical ways were heavily inspired by the novel The Vampyre by John Polidori; a visit to Slains Castle in Aberdeenshire and crypts of St. Michan's Church in Dublin were also used as inspiration. When the novel came out, it wasn't an immediate best seller, even though people who read it gave it positive reviews. It was compared to other Gothic novels such as Mary Shelley's Frankenstein, Edgar Allan Poe's stories and Emily Brontë's Wuthering Heights. But it was only really perceived as a classic for the 20th century readers, when the first movie versions came out, and a lot others subsequently. Rumours say that there was a Soviet silent film called Drakula (1920) based on the novel. It's supposedly the first adaptation of Dracula, but nothing regarding this film is known to have survived. In fact, not many people think the movie actually exists, and since there's no way to verify its authenticity, we can only remain wondering if it was real or not. So the other (and very much real) earliest movie that came out about Dracula had to change its name completely because of copyright infringements: Nosferatu: A Symphony of Horror (Nosferatu: eine Symphonie des Grauens, 1922). In it, Count Dracula was changed for the eerie Count Orlok, played by the even eerier Max Schreck. The movie tell the same story as Dracula, with only minor changes in characters names and other small plot changes. It actually almost didn’t came out, since it went through a process made by Stoker’s state on the cause of plagiarism and by losing it, all copies were supposed to be taken away and never shown. But luckily, a few copies of it survived and now are in the public domain, being one major cult horror classic. But the one movie that really put the name Dracula on the scene was probably the now horror classic of 1931 Dracula, starring Bela Lugosi, who is known amongst fans as THE Count Dracula. After that, countless of other movies on Dracula appeared, including tons of parodies, dramas, series, theatre plays and even a ballet performance. Another one that's worth mentioning is the 1992 movie directed by Francis Ford Coppola named Bram Stoker's Dracula. 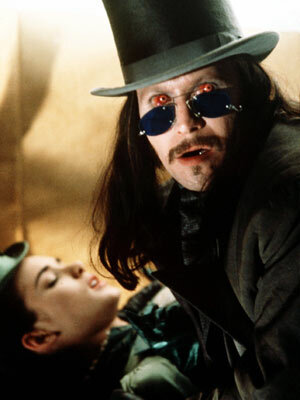 It starred known stars like Gary Oldman, Keanu Reeves, Winona Ryder and Anthony Hopkins as Van Helsing. Speaking of which, Van Helsing, the famous vampire hunter, was born out of Bram Stoker's book, and soon became a character of his own and thousand of stories and movies sprung about him as well - most of them deviating completely from the original story. Since the man who inspired such a chilly tale was very much real, it isn’t surprising to see that many people believe that Count Dracula was real - and that so are vampires. The whole vampire thing probably originated in Slavic countries in the Middle Ages. Experts don’t know what or why vampires were born, but there is an enormous list of reasons such as: the ignorance towards the decomposition of bodies, outbreaks of strange diseases like rabies and porphyria (both make a person sensitive to light, messes around with their nervous system, making the afflicted act no short of mad - all “symptoms” of vampire sickness), premature burial worries (these happened a lot in that time), bats infestations and even political reasons - but none of them can quite explain what is the vampire in the world’s folklore. In 2006 though, a physic professor of a University in Florida said that it was “mathematically impossible” for a vampire to exist. His paper said that “based on geometric progression, if the first vampire had appeared on 1 January 1600, and it fed once a month (which is less often than what is depicted in films and folklore), and every victim turned into a vampire, then within two and a half years the entire human population of the time would have become vampires.” It’s strange that a physics professor is worried over such things, but nevertheless is a nice and reasonable thinking. But that doesn’t mean that people still won’t believe in vampires, even in modern days. In February 2004, a family from Romania thought that their deceased son was a vampire. Oh, just dug out the boy’s corpse, ate his heart and did a number of things for him to stop his vampiric ways. But the practice of digging out the bodies of the deceased and twisting their limbs and stabbing their hearts still happens in some parts of Europe so to stop their loved ones from becoming blood sucking monsters. In our days, vampirism also became a “way of life” amongst some people. It’s now considered a branch from the Gothics, with same aesthetical approach as them. Some even modify their bodies in order to look like vampires, and use the term “Coven” to describe their companions - and some even go as far as drinking a willing person’s blood. But since the vision of the vampire is known throughout the ages all over the world... it must be based on some kind of primordial beast, maybe? Something that may lurk in the night, thirsting for blood and hunting its prey in the darkness. Maybe vampires do exist (or existed). Maybe there’s one next to you right now. But who knows! What do you think? As we are growing, we wan`t to hear your voice. That is why we created a forum. We want to give you the possibility to talk at us, and through us. Talk about your stories, let the world know what strange things you have seen. Saw a good horror movie? Let us know! Discuss ghost pictures if they are real or not. -THT- Games is still something for the far future. But we have some projects we would like to share. 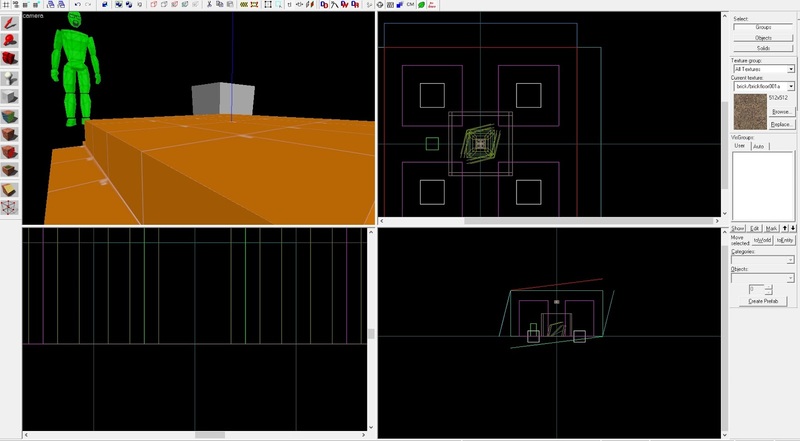 We are working on a `Gmod` and a RPG. However we are still in sketching mode! So this still will take years before we have something to play with. You can follow up and/or help us! The site is still under construction, but you already can talk about it on our new forum. We really hope to show you stuff as soon as possible! With proud we present our own YouTube Channel! Also check the playlists for amazing video`s! Enjoy your monthly scary picdump with some real looking `Pocket Monsters`!